You’ve got to look at the whole enchilada,” Uncle Ed Lindsey would say, pausing to let the assembled group absorb his message. In the years we served on the Maui Tomorrow Foundation board together, I grew to appreciate his commonsense approach. He offered his opinion with clarity and the strength of purpose of a steersman dipping his oar into the water to guide his outrigger through turbulent swells. A lifelong educator, Lahaina native Edwin Robert Naleilehua Lindsey, Jr. taught school for twenty-five years in Hana and Wailuku. But in his “retirement” he undertook a number of cultural restoration projects that will long define a legacy steeped in Hawaiian values. Indeed, Lindsey was an ambassador of aloha in the fullest meaning of the word. On a warm, sunny Friday afternoon an overflow crowd filled Waiola Church in Lahaina; an elegant historic structure that well suits the man. Hundreds, young and old, gathered in aloha-wear for the celebration of a life well lived. In contrast to the choked up sadness of some memorial services, a sense of peace wafted through the plumeria-scented air. Uncle Ed’s physical body had succumbed to cancer, but not before he passed his gifts to countless students, family, and friends. Bailey then spoke of her brother’s tireless endeavors. “He established a really wonderful foundation of his work. The burden is now on us,” she said. Recognizing the inseparable link between Hawaiian culture and the environment, Lindsey helped create organizations designed to malama (take care of) the land and the sea. In 2002, Lindsey founded Maui Cultural Lands, Inc. with the aim of restoring cultural ruins in West Maui’s Honokowai Valley and educating the public about the ‘aina. For years he led groups there every Saturday to remove invasive plants and uncover long-forgotten foundations and rock walls of taro lo`i. Maui Cultural Lands has also established ongoing projects in Ukumehame as well as the lands near the Kaheawa Pastures wind farm. MCL’s Web site quotes Lindsey in its strategic plan: “People who help the land and the culture, who give unselfishly for the sake of the land, they are the heroes, the real warriors.” These are words that befit the man himself. When the Maui County Council honored Lindsey with a resolution last May, well-wishers packed the council chambers in appreciation. Among them were representatives from Na Kapuna O Maui, Lahaina Hawaiian Civic Club, Kaanapali 2020, and Maui Tomorrow. 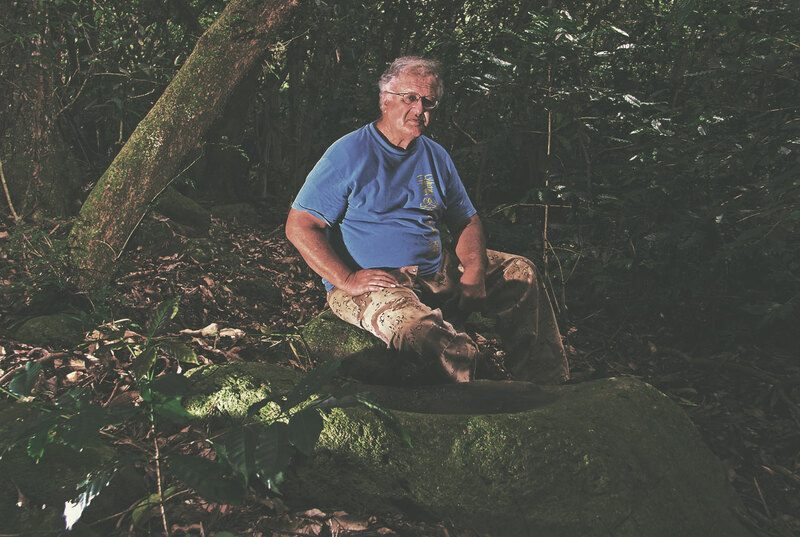 Uncle Ed also was instrumental in Kilakila O Haleakala, a group that assesses the cultural significance of Maui’s landmark volcanic mountain in light of the proposed solar telescope. He was a co-founder and president of the `Ohana Coalition, a registered Political Action Committee begun in 2002 with the intent of electing candidates on the basis of shared values rather than backgrounds or political parties. He hoped the group would help voters choose candidates who would act in the public’s interest rather than that of big business. In 2007 he helped launch the Maui Nui Marine Resources Council. The young organization addresses fishing licenses, bag limits, cultural fishing rights, aquarium collecting, and other key issues impacting our near shore waters. Like so many of the organizations he helped create, the MNMRC grew out of earlier protection efforts. I recall Uncle Ed’s forceful testimony during DLNR meeting on a proposed partial ban on gill net fishing, a debate that remained volatile for years. Uncle Ed stood in the Maui Waena Intermediate School cafeteria and spoke sternly, contradicting those who said lay gill nets were a cultural right. Lindsey was given the Malama I Ke Kai Kupuna award at Last April’s “More Fish in the Sea: E Ola Kai, E Ola Kakou” event, held at Maui Community College. With cancer spreading painfully into his bones, Uncle Ed leaned on a cane as came forward to receive flower lei and accolades. Councilmember Sol Kaho`ohalahala, speaking at the memorial service, reminded the audience of the values Lindsey carried so proudly: Malama, to take care of the land, the sea, and the people; Ho`omanawanui, to have patience; and Aloha, “the essence of who we are.” Kaho`ohalalhala played his ukulele at the service alongside musical luminaries Sheldon Brown, George Kahumoku, Jr., and Joe Cano. I knew Uncle Ed Lindsey only for the last twelve years of his life, and find myself gravitating to two words describing my impressions of him: dignity and integrity. His sense of humor was sharp, and he often brought irony into a discussion to bring home a point. The following morning, as crowds assembled for the annual Makawao Rodeo Parade, I saw many of the faces from the prior day. I recalled 11 years earlier when I donned a chartreuse t-shirt that read, “Ed Lindsey-Mayor 1998.” The parade was a familiar place for political candidates, and Uncle Ed was surely someone I felt motivated to support. His candidacy never it made it past the primary election, though the issues and values he raised elevated election-year discussions. Little would I have expected that his example of boldly jumping into the political fray would be a path I myself would follow in years to come. Two years later, in 2000, I called Uncle Ed on short notice and asked him to provide a blessing at my wedding to my sweetheart, Heather. Obliging our request, Uncle Ed offered an invocation with great dignity and reverence, calling in the ancestors and spirits to come and celebrate our blessed union. Nine years later, we remain as grateful as we did on our wedding day.